Recently on this blog, danah boyd set off a firestorm by suggesting that the imposition of real names on social media sites is an abuse of power…or even authoritarian. The obvious retort is “don’t like it, don’t use it”, or learn how to segement one’s network (i.e. bend to the system, because its your problem). But I’m here to take another angle on this one: real name sites are necessarily inadequate for online audiences. Yes, necessarily inadequate. I once had a dream that people could seamlessly manage their social networks on any site through some combination of visulaization and clever user interfaces. 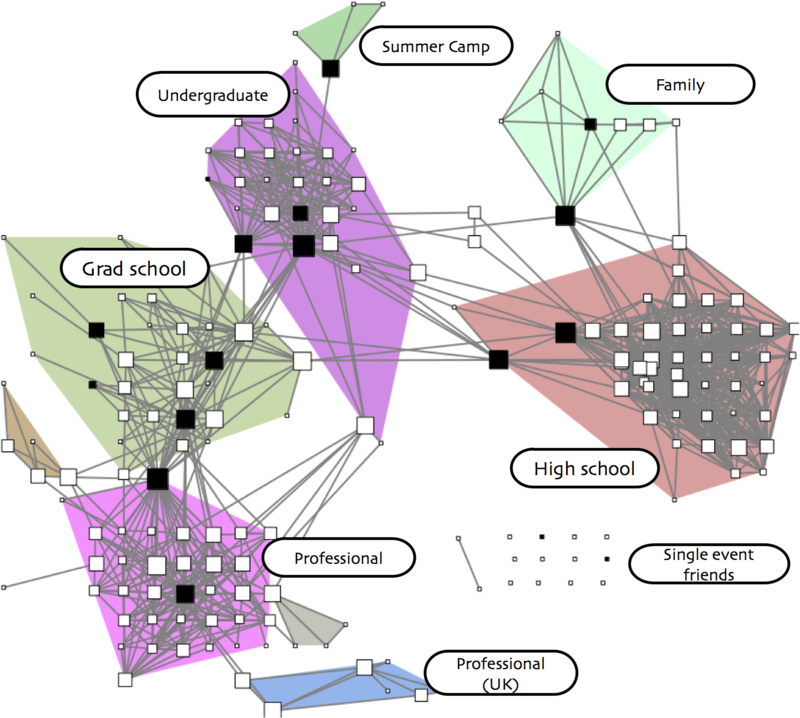 It was based on the visualization of Facebook networks. People who see these networks, as I’ve discovered in many interviews (early work discussed here), readily identify the myriad social contexts in their networks. One cluster is clearly family, another is clearly coworkers, and so forth. As such, it seemed like the next step would be to use this information to create some sort of selective sharing interface. These are Google+’s social circles (or Diaspora’s Aspects), except determined semi-automatically. Then one could simply select which context, and read from it, or post to it.